Have you ever gone into a theme park and dashed all around from one ride to another, stressed about where and what to eat, literally felt like you were melting from the ridiculous heat, and quoted Toy Story’s Sherriff Woody in saying “the word I’m searching for, I can’t say because there are preschool toys present”?! Ugh – it stresses us out just thinking of a day like that! But, let us tell you – it DOESN’T have to be that way. Honestly, there’s a way to have a day as close to perfect as possible. Let’s have a perfect day at the very popular Hollywood Studios! Just remember these 10 tips and don’t forget to pack a good attitude to bring along with you. 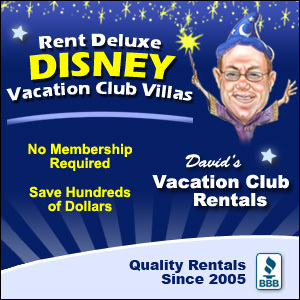 Disney Resort guest? 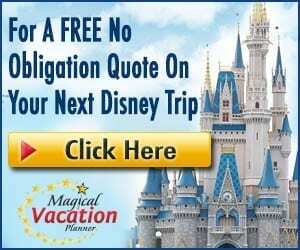 You have a fantastic 60-days prior to arrival opportunity to select three FastPasses. If you aren’t a resort guest, you’ll have 30-days prior to arrival to select your FastPasses. 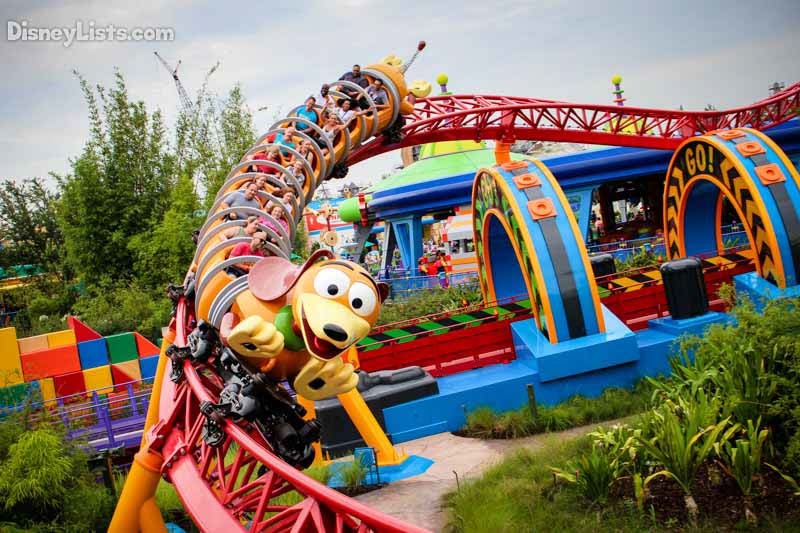 Tier 1 FastPasses include all three Toy Story Land attractions: Slinky Dog Dash, Alien Swirling Saucers, and Toy Story Mania. Our recommendation on Tier 1 is to snag a Slinky Dog Dash FastPass for late morning. The two Tier 2 FastPasses we’d recommend are the popular Rock ‘N’ Roller Coaster and Twilight Zone Tower of Terror. After you finish using these three FastPasses, be sure to use your My Disney Experience App to schedule a 4thFastPass and so on until the park closes. This past summer, Hollywood Studios offered Extra Magic Hours for resort guests from 7am-8am. No matter what time Extra Magic Hours is offered, plan to be there about a half-hour before this time starts! Arrive closer to 6:30 am and be ready to head in at 7 am. This is prime time to be in the park which is just one of the many perks of staying at a Disney resort. This will give you an opportunity to walk straight to the two Tier 1 Toy Story Land attractions you don’t have a FastPass for (Alien Swirling Saucers and Toy Story Mania), before riding the third Toy Story Land attraction (Slinky Dog Dash) with your late morning FastPass. Since Hollywood Studios is the Disney park with the most “thrill” style rides, we’d highly recommend taking advantage of the Rider Switch available for families with young children that are either too short to ride these attractions or too scared. When you go to ride the attraction, see the Cast Member at the entrance of the line whether it’s via the FastPass line or Standby line. Have your whole party together (including the child that doesn’t want to go on the ride). The Cast Member will then place a Rider Switch (acts like a FastPass) on the MagicBand of the person not riding that is staying with the child and two other guests that want to go on the ride again with you. Our son is too young for the thrill attractions so when one of us wants to go on them we take our older daughter. When we get off, she gets to go right back on with whichever one of us stayed back with our little guy. It’s a great way to not have to ride solo! Time is important when it comes to a perfect Hollywood Studios day! While waiting in line for an attraction or strolling from one attraction to another, use your My Disney Experience App to Mobile Order either a quick snack or lunch. It’s as simple as the push of a few buttons and you’ll get to skip the long quick service restaurant lines all together! Mobile Order locations throughout Hollywood Studios include: ABC Commissary, Backlot Express, Catalina Eddie’s, Fairfax Fare, PizzeRizzo, Rosie’s All-American Café, and Woody’s Lunch Box. We especially recommend using Mobile Order for Woody’s Lunch Box. Regular waits for ordering and food pickup are normally 20-30 minutes! We mentioned the thrill rides above, but Hollywood Studios’ shows shouldn’t be missed! You’ll want to plan which show to do at which time in advance because not all the shows go late into the evening. Hollywood Studios’ prime shows include: Beauty and the Beast – Live on Stage, For the First Time in Forever: A Frozen Sing-Along, Indiana Jones Epic Stunt Spectacular, Star Wars: A Galaxy Far, Far Away, and Voyage of the Little Mermaid. Check out their showtimes well in the advance and make a game plan to tackle these after exploring Toy Story Land. 6 – Have a Sweet Treat! The perfect day at Hollywood Studios must have some sweetness to it! Hollywood Studios is loaded with incredible specialty cupcakes that can be found at locations such as The Trolley Car Café. Not in a cupcake mood? Try the ever so popular ice cream sandwiches at Hollywood Scoops. Go ahead and indulge your sweet tooth! 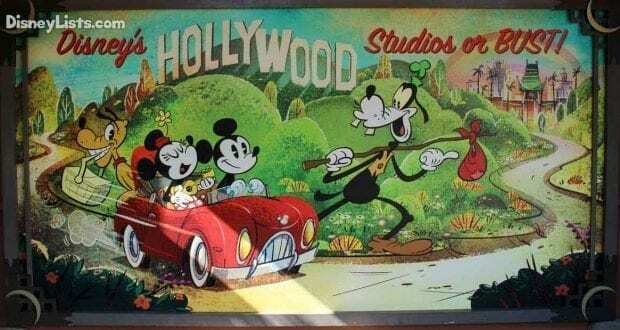 Hollywood Studios has a few “classic” attractions that may not be as thrilling as the headliners, but are definitely a great way to cool down and take in all the attraction offers. One of our favorite attractions to explore is Walt Disney Presents. Here you’ll walk through Walt’s vision coming to reality and see models of what’s unfolding at Hollywood Studios, such as the incoming land, Star Wars: Galaxy’s Edge. If you’re planning to open and close Hollywood Studios, keep it a perfect day with a little time to rest your feet and enjoy air-conditioning. Make a table service restaurant reservation 180-days in advance of your arrival. Hollywood Studios has some of the very best restaurant theming with hot spots like Sci-Fi Dine-In Theater, 50’s Prime Time Café, Hollywood and Vine, and Hollywood Brown Derby. 9 – Fantasmic! OR Star Wars: A Galactic Spectacular? “Life’s full of tough choices, isn’t it?” Oh, Ursula was totally right. Hollywood Studios has two incredible nighttime entertainment options. Fantasmic! 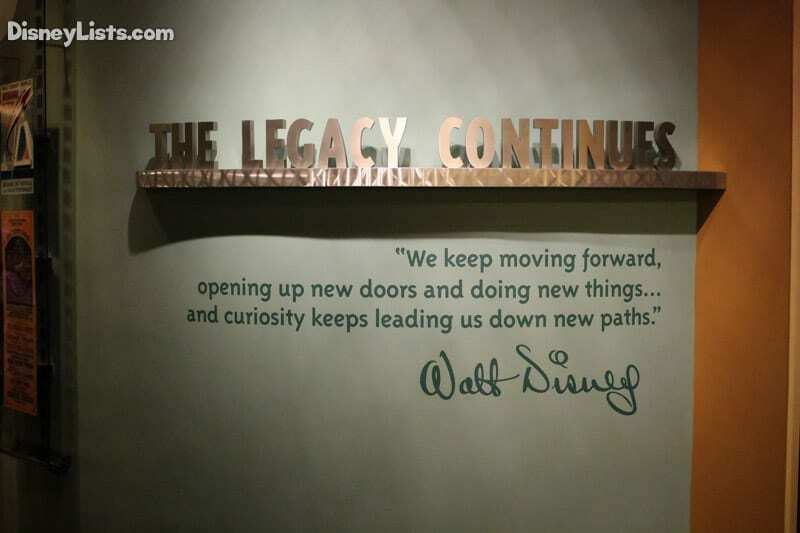 encompasses all things classic Disney. A true battle of good versus evil – and Mickey takes center stage of it all. Two shows of Fantasmic! are presented nightly. Right in between those shows is Star Wars: A Galactic Spectacular. This is an awesome projection and fireworks show that is a must for Star Wars fans in particular but we’ve found it’s impressive to just about everyone! The trick is the Galactic Spectacular is presented one time, in between the two Fantasmic! shows. This makes it almost impossible to catch both shows because you’re fighting crowds both ways. Do your best to catch as much as possible of both, but come with a plan as to which one you REALLY want to see and keep that as your focus for the nighttime entertainment. We get it – when the park is closed, the park is closed… right? Well, not exactly! While the attractions and restaurants close down, you can still take your time shopping on Hollywood Boulevard. Let the crowds after the nighttime spectaculars push towards the exit while you stroll through the different shops and merchandise. No need to rush. Find some fun merchandise to remember your perfect Hollywood Studios day by!